Berry Dakara: So In Love With JORD! In the same way, I enjoy putting a lot of thought into giving gifts. I don't particularly like to buy the same old cologne, or ties and shirts. 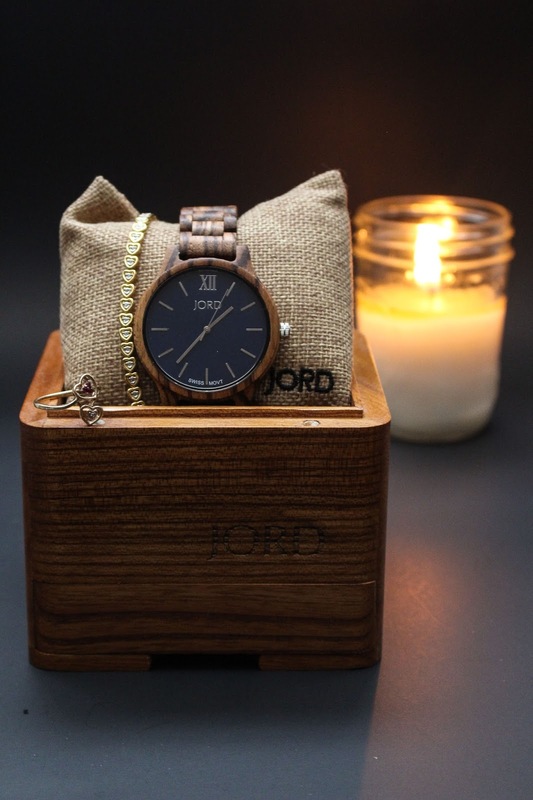 Before our second anniversary, I came across JORD Wood Watches. 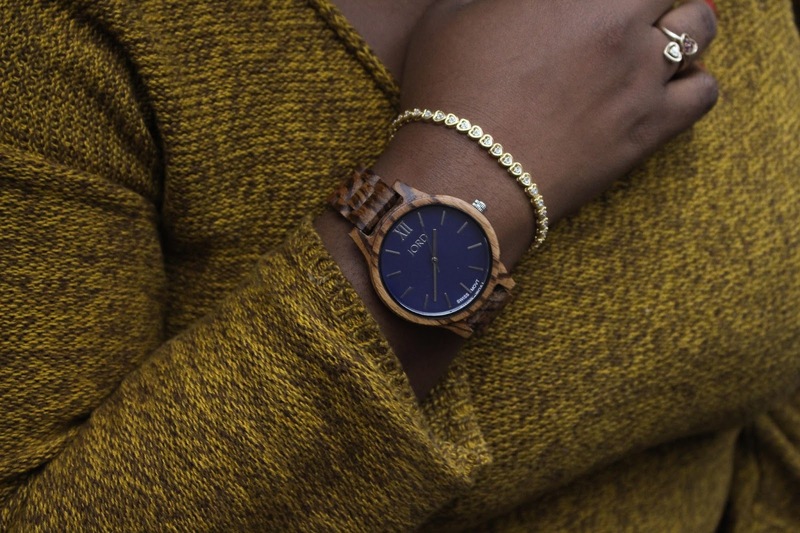 I was quite intrigued because I had never heard of watches made out of wood, and when I visited the men's watches section on their website, I couldn't help but Oooh and Aaah over the different designs. I eventually settled on the Ebony and Gold from the Frankie Series. Dare I say, this is Cakes' favorite watch in his collection, and he likes to wear it on special occasions. After getting his watch, I must admit I was a little jealous. I have never really been into watches, but give me a unique watch that speaks to my personality, and I'm sold. No matter how many times I opened the JORD website and left it open, Cakes just didn't take the hint. 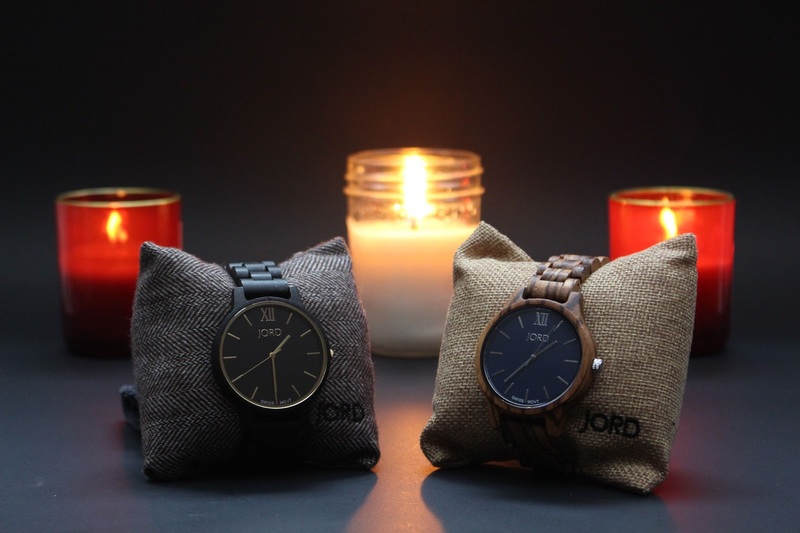 I had already resolved to get mine, when I got a lovely surprise message from JORD themselves! Almost a year after I got Cakes' watch (under my real name), they wanted to gift one of their women's watches to me, Berry Dakara! And just in time for my 3rd wedding anniversary! I selected the Zebrawood and Navy, also from the Frankie series (hehe, shey Cakes doesn't like to match? Matching by force now!). 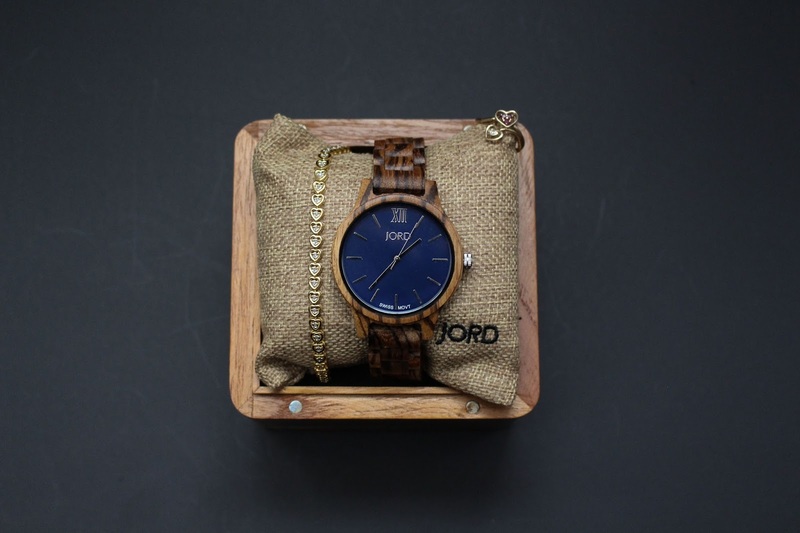 Apart from the watches, something else I love about JORD is their ordering/delivery process. 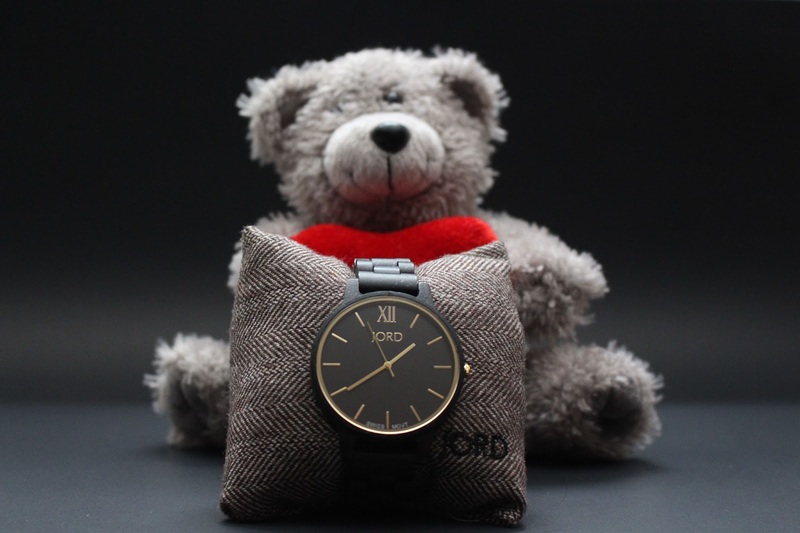 They customize your watch to fit your wrist, can even engrave the watch and it gets delivered to you in a timely fashion! Everything about them really impressed me. 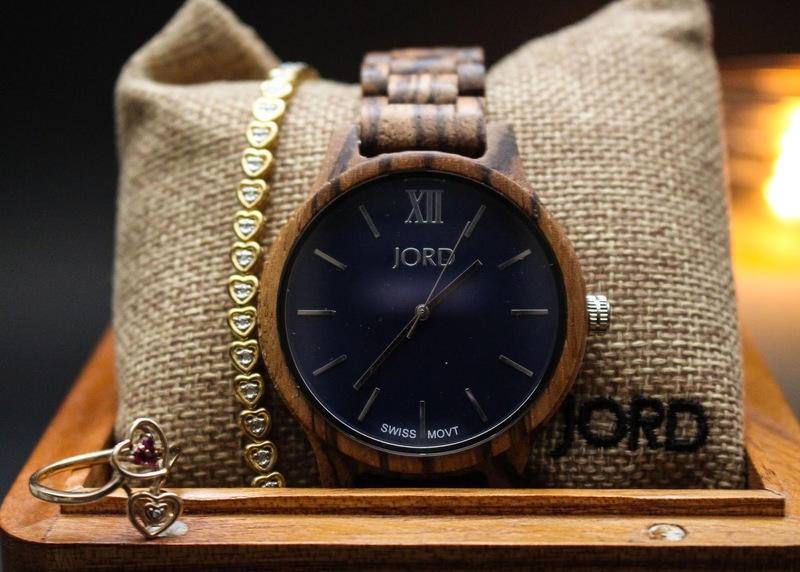 That's why you should definitely consider gifting a JORD Wood Watch to any of your loved ones for Valentine's Day, which is less than a month away! These watched are actually BEAUTIFUL, no jokes! 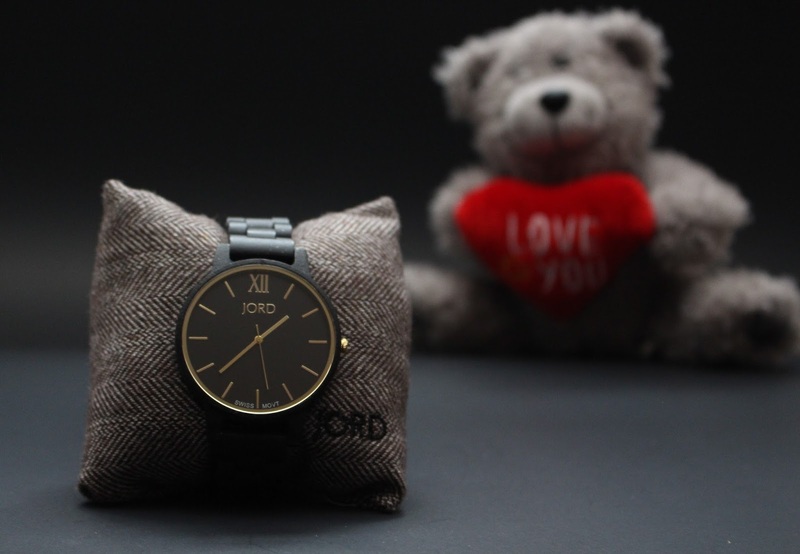 Just checked out their Instagram and I love the watches! Hope I win! As in, I really like their designs a lot! 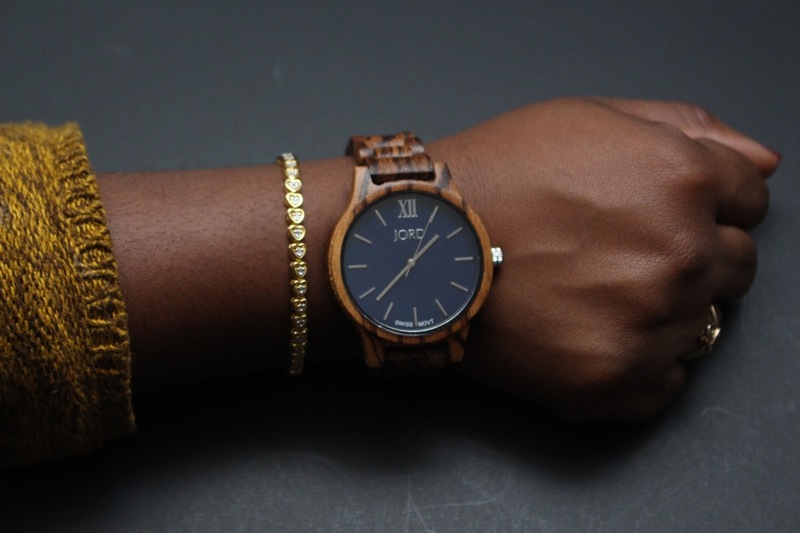 And I like that their watches start at affordable prices. Good luck! Whoop!!! Entered already :) I'm probably late, but loving the new blog look!!! Thanks for heads up on giveaway! Would be hard to choose one! Very pretty aye? Sam helped me with the photography. Best wishes! Oh wow! This looks beautiful. And I absolutely enjoyed how you narrated your "watch story". You go! Thanks Precious! Glad you enjoyed my story. Amazing offer I must say and their collection is soooo beautiful. I like that they customize their watches to fit the wrist as my wrists are really tiny and have in times past struggled with getting a watch that fits.I guess this solves that problem for me. Lest I forget,I love the one you chose; it complements your complexion. The customized fit is a very big sell! I'm telling you, the watch wasn't moving and flopping around on my write - it's a perfect fit. And thanks, I really like the colors of my watch too. The photography is stunning, Love how you styled it, Go Girl!!! Thanks Tooks! My brother took the photos, and I was the creative director... kinda. Had to leave another comment after admiring the pictures I second, I love the rustic vibes of the watch pillow and the candles plus the teddy bear adds a cute little touch, Well Done!! Hehehe, coming from you... thanks a whoooooooooooooooooooooooooooooole bunch!